Oscar outlook: Now that we know who's been nominated, we can finally start reading the Oscar tea leaves. Everything that's happened on the Oscar front since last May's Cannes Film Festival has simply been prologue. Film festival audiences,Oscar bloggers and critics groups can shout and scream all they like about how Oscar worthy their favorite films are, but what resonates with Academy voters is often quite different. Last week's best picture Oscar noms reinforced early predictions about films like "Boyhood" and "Birdman," but disappointed those who thought for sure that contenders like "Unbroken" or "Foxcatcher"would get into the race. On the directing front, neither Clint Eastwood ("American Sniper") nor Ava Duvernay ("Selma") got noms although their films did land best picture nods. Meanwhile, there was best actress Academy love for Reese Witherspoon ("Wild"), but not for Jennifer Aniston ("Cake"). And while the best actor noms included most of the anticipated names, they surprised many Hollywood handicappers by skipping David Oyelowo ("Selma") and Jake Gyllenhaal ("Nightcrawler"). Overall, what's largely missing from the best picture noms are the kind of big studio films that used to dominate the Oscars. Those who thought studio releases like Fox's "Gone Girl,"which grossed $167.2 million domestically, or Paramount's "Interstellar,"which grossed $185.9 million through last weekend, would make the cut were unhappy with the results.Boxoffice hits like those are what people who may watch the Oscar telecast will have seen and probably care about. The small indie productions that got into this year's race are largely unknown to people outside of a handful of big cities. To try to counter this likely drag on the ratings for this year's show, the Academy has reportedly decided to spend another $5 million on marketing. Whether that will make any difference remains to be seen. There was more unhappiness for those who were hoping for a more diverse group of nominees. Having no nominees of color and having no women in key non-acting raceslike directing or screenwriting instantly generated widespread criticism of the Academy. Nonetheless, Academy members have spoken and their nominees are now gearing up for what insiders call Phase Two of the campaign. Here's a look at the choices Academy members made in four prime races – best picture, director, actor and actress –and how votes by other key groups in those categories may suggest the outcome. BEST PICTURE: Academy members, using a controversial preferential balloting system that few people are thought to understand, put eight films in this year's best picture race – "American Sniper," "Birdman," "Boyhood," "The Grand Budapest Hotel," "The Imitation Game," "Selma," "The Theory of Everything" and "Whiplash." When the Academy adopted preferential voting in 2010 an argument in favor of the change was that it would help put more major studio films in the best picture race by expanding the number of nominations slots from five to 10 (later, this became up to 10 rather than exactly 10). The example cited at the time was that Christopher Nolan's "The Dark Knight," a big studio film that was a hit with audiences as well as critics, had still failed to land a best picture nomination in the 2009 race that was dominated by small releases from specialized distributors. Unfortunately, things haven't worked the way they were supposed to. Of this year's eight nominees, only two are from big distributors – "Sniper" and "Selma," and "Selma" actually seems more like a film that was made independently. SAG:The Screen Actors Guild's equivalent of a best picture nomination is its best ensemble cast category. SAG's nominees included: "Birdman," "Boyhood," "The Grand Budapest Hotel," "The Imitation Game" and "The Theory of Everything." Because SAG only nominates five ensemble casts and Oscar can nominate up to 10 best pictures, it's hard to draw valid conclusions here. But since four out of SAG's five titles are also best picture Oscar nominees, they should benefit from getting some level of support from actors, who make up the Academy's largest branch. Last year, SAG's ensemble cast award went to "American Hustle"while Oscar's best picture was "12 Years a Slave." GOLDEN GLOBES: The Hollywood Foreign Press Association (HFPA) has two best picture categories, which also makes comparisons with Oscar nominations difficult. The Globes' prime race for best motion picture-drama included: "Boyhood" (the winner," "Foxcatcher,""Game," "Selma" and "Everything." The HFPA also nominated five best picture-comedy or musical films, including: "Birdman," "Budapest," "Into the Woods,""Pride" and "Vincent." 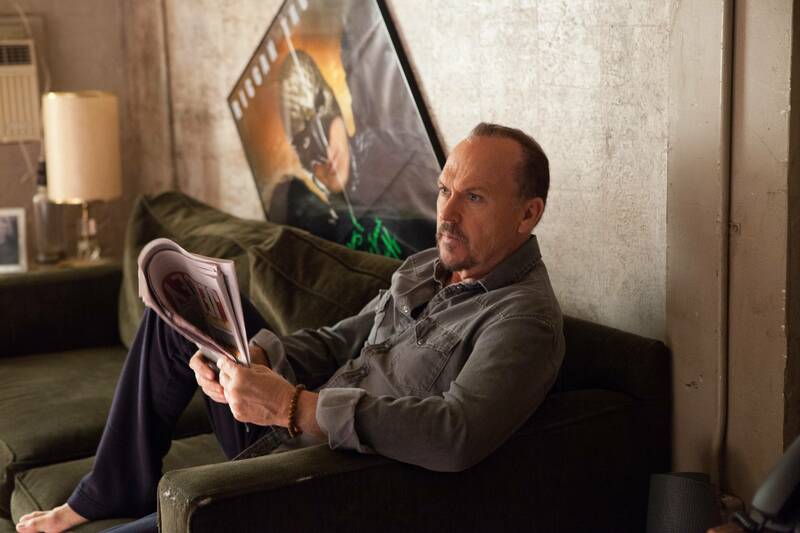 That genre split was supposed to work in favor of "Birdman" since it wasn't up against "Boyhood," but it didn't. "Budapest" won, making its best picture Oscar nom less of a surprise than it might otherwise have been. The Globes' real influence on Academy members is in December when the HFPA noms are announced just as Oscar voters are starting to think about what films to see so they can send in their nominations ballots. The Globe noms are a great cheat sheet for harried Academy members who are trying to get out of town for holiday vacations and have very little time to spend watching movies. The Globe wins were announced Jan. 11, wellafter the Jan. 8 close of Oscar nominations balloting. PGA:The Producers Guild of America nominated 10 films in its equivalent of a best picture race: "Sniper," "Birdman," "Boyhood," "Foxcatcher," "Gone Girl," "Budapest," "Imitation," "Nightcrawler," "Everything" and "Whiplash." Because the PGA uses the same preferential voting system as the Academy does, its noms are taken quite seriously. Nonetheless, the producers' enthusiasm for "Girl," "Foxcatcher" and "Nightcrawler" wasn't shared by Oscar voters. In the last seven years, the PGA and the Academy have voted for the same best picture (although last year the PGA announced a tie between "12 Years a Slave" and "Gravity" while the Oscar went to "Slave"). ACE: Oscar handicappers pay particular attention to the ACE Eddie nominations made by the American Cinema Editors, which began handing out awards in 1934. Since 1981, every Oscar best picture winner has also had a film editing Oscar nom, which correlates closely with the guild's own noms. Last year's ACE winner was "Captain Phillips," but the best film editing Oscar went to "Gravity." 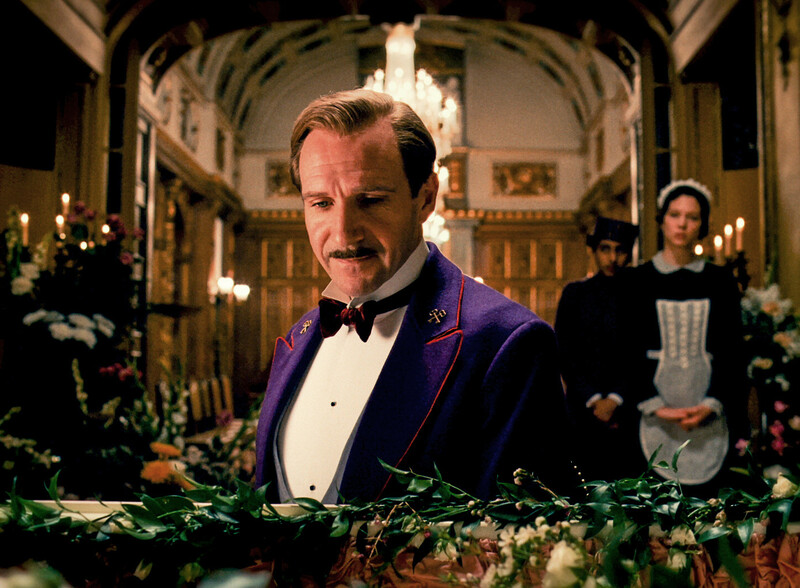 That split was a departure from the previous 10 year period, during which nine Eddie winners also took home film editing Oscars. This year ACE nominated six films in its dramatic category rather than five (due to a tie) and five films in its comedy or musical category. All five of Oscar's film editing nominees are also best picture Oscar nominees. And all five are also ACE nominees – "Sniper," "Boyhood," "Imitation" and "Whiplash" received dramatic nods while "Budapest" got a comedy or musical nom. As a result, those five best picture Oscar nominees are arguably more likely to win best picture than the three best picture nominees that did not get film editing nods from the editing branch ("Selma," "Everything" and "Birdman"). BEST DIRECTING:For many years best picture Oscar wins went hand in hand with best directing wins, but in recent years we've seen some splits between the two. Last year, "Slave" won best picture while Alfonso Curaron won for directing "Gravity." This time around the directing branch nominated: Wes Anderson ("Budapest"), Alejandro Inarritu ("Birdman"), Bennett Miller ("Foxcatcher"), Richard Linklater ("Boyhood") and Morten Tyldum ("Imitation"). DGA: The Directors Guild of America's nominations for best director don't always agree with the nods made by the Academy's directing branch. The DGA's membership is about 15,000, many of whom are television directors or unit production managers rather than feature film directors. The Oscar directing branch's membership is only about 400, all of whom are feature film directors. The DGA voters are demographically much younger and more diverse than the Academy branch membership is. Nonetheless, when there is a match up between DGA noms and directing branch noms, thattypically gives those titles an advantage in the Oscar race. The DGA's five nominees are: Wes Anderson ("Budapest"), Clint Eastwood ("Sniper"), Alejandro Inarritu ("Birdman"), Richard Linklater ("Boyhood") and Morten Tyldum ("Imitation"). Last year, the DGA award went to Alfonso Curaron ("Gravity"), who also took home the best directing Oscar. Of this year's nominees, only Eastwood isn't also an Oscar nominee for directing, which was a major surprise considering the Academy's affection over the years for Eastwood, who's previously won four Oscars. Because Eastwood didn't receive an Oscar branch nod for directing, "Sniper" is one of the so-called "orphans" in the best picture race. Conversely, since "Foxcatcher" has no best picture or directing Oscar nom, it can't benefit in those races even if it were to win the DGA award. The Guild will announce this and other directing awards Feb. 7. Final Oscar voting begins Feb. 6 and ends Feb. 17. "Sniper," by the way, is exactly the kind of boxoffice hit that could help the Academy on the TV ratings front. It opened wide last weekend and hit the boxoffice bull's-eye with $105.3 million for the four day holiday and a cume (since opening at four theatres Dec. 25) of $108.7 million. None of the other best picture nominees has cracked the $100 million mark, making them very low profile films to the TV audience that the Academy must attract in order to generate decent ratings. Since "Sniper" has done huge business in mid-America, it could bring an audience to the Oscars that is rooting for it to win – and that would be just what the Oscar doctor ordered! Most of the Academy's revenues come from the Oscars – some $92 million, reportedly, mostly from global licensing of the show. Soft ratings impact negatively on the show's international value and on how much advertisers are willing to pay to run commercials on future telecasts. This year's Globes telecast ratings were down from last year – 19.3 million viewers vs. 20.9 million viewers in 2014 – most likely thanks to the less familiar titles that were competing for best picture. Last year's Oscar telecast drew 43.7 million viewers, many of whom had seen big studio nominees like Warner Bros.' "Gravity" and Columbia's "American Hustle." The Oscar telecast that delivered the best ratings ever was the 1998 show with 55 million viewers – the year "Titanic"won. BEST ACTOR:The Academy's best actor nominees are: Steve Carell ("Foxcatcher"),Bradley Cooper ("Sniper"), Benedict Cumberbatch ("Game"), Michael Keaton ("Birdman") and Eddie Redmayne ("Everything"). With the exception of Cooper, they'reall also SAG nominees for lead actor. SAG also gave a nod to Jake Gyllenhaal ("Nightcrawler"). Academy members went for Cooper, instead, ignoring Gyllenhaal's unexpected SAG nom and his Golden Globe best actor-drama nod. Last year, SAG's best lead male actor award went to Matthew McConaughey for "Dallas Buyers Club,"who also won the best actor Oscar. This year's buzz among many Hollywood handicappers favors Keaton or Redmayne to take home the Oscar. It's the first Oscar nom for each of them. Keaton has already won the Globe for best actor-musical or comedy and the Broadcast Film Critics Association's (BFCA) Critics Choice Award for best actor-comedy. He's also a British Academy BAFTA best actor nominee. Redmayne won the Globe for best actor-drama and is a BAFTA best actor nominee for playing British physicist Stephen Hawking in "Everything." He was a BFCA nominee for best actor, but lost to Keaton. Given the Academy's tendency to look down on comedy ("Birdman"), to look up to British actors(Redmayne) and to applaud performances based on real life characters (Hawking), Redmayne could benefit. BEST ACTRESS:The best actress race Oscar nominees are: Marion Cotillard ("Two Days, One Night"), Felicity Jones ("Everything"), Julianne Moore ("Still Alice"), Rosamund Pike ("Gone Girl") and Reese Witherspoon ("Wild"). With the exception of Cotillard, they also are all SAG nominees for lead actress. SAG also nominated Jennifer Aniston ("Cake"), but Academy members overlooked her performance against type (mostly light comedy over the years) in a very serious drama that had brought her some good reviews. The buzz among Oscar bloggers throughout the awards season has strongly favored Moore to win best actress. She's a BAFTA nominee and has already won the Globe for best actress-drama and the BFCA best actress award. It also helps that this is her fifth Academy nomination. Last year SAG's best lead female actor award went to Cate Blanchett for "Blue Jasmine." Blanchett also won the best actress Oscar. SAG nominations are made by a committee of 2,100 of the Guild's roughly 120,000 members. The entire membership votes for the winners, which this year will be announced at the 21st annual SAG awards Jan. 25. Hollywood pays great attention to the SAG Awards because actors make up the Academy's largest voting branch – about 1,100 of its 5,700 members. Performances that are applauded by SAG, also tend to get votes from SAG members who are Academy members. Bottom line:Although it may seem as though the Oscar race is the only thing on Hollywood's mind, the fact is that the race that really counts most continues to be at the boxoffice. The year got off to a very strong start with 20th Century Fox and EuropaCorp's PG-13 rated action thriller "Taken 3," which in two weeks has grossed $66.2 million domestically. 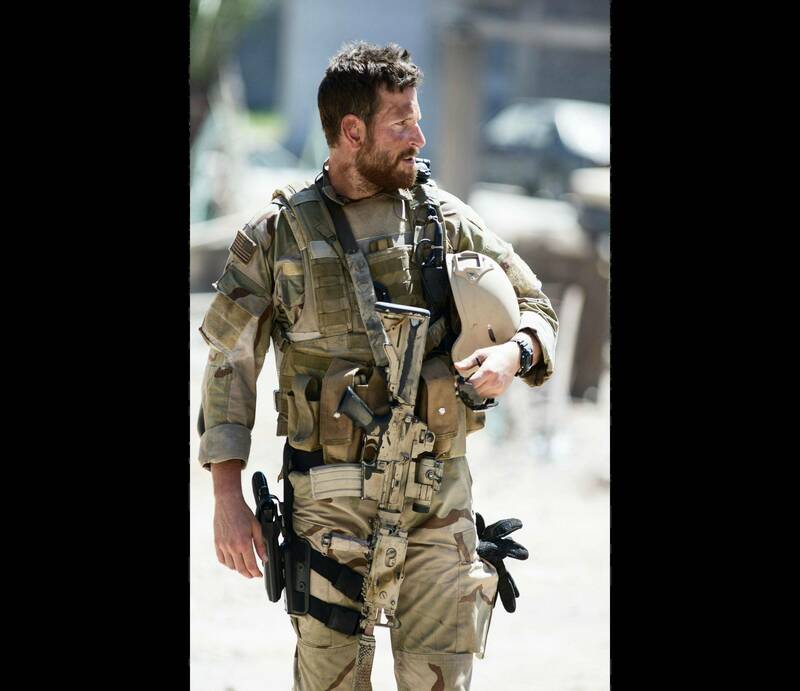 Last weekendbrought a phenomenal $105.3 million four-day launch for Warner Bros. and Village Roadshow's "American Sniper." Now there are high hopes that this winter boxoffice momentum will continue at least to some extent with upcoming openings, including Universal and Blumhouse Productions' R rated psychologicalthriller "The Boy Next Door,"opening this weekend at about 2,500 theatres. Directed by Rob Cohen ("The Fast and the Furious") and starring Jennifer Lopez and Ryan Guzman, "Boy" is tracking best with women under 25. It's also doing very well with women over 25.